Alvin Luther Bucklew obituary. Carnes Funeral Home. After 92 years of a life well-lived, Alvin Luther "Luke" Bucklew passed from this earth on Thursday, October 12, 2017, in Texas City, Texas. Luke was born in San Augustine, Texas on October 7, 1925. He married the love of his life, Dorothy Piske on December 11, 1944, and continued to spoil her for sixty-four years until her death in 2010. They loved to travel together and made sure that their home was always open to friends and family. He was the proud father of his daughter, Alice and his son, David. Luke was a survivor. He lived through the Texas City explosion in 1947 known as the worst industrial accident in U.S. history. He weathered several hurricanes. He loved sharing the memory of the family trip to Disney World. He was a lifelong fan of his Houston Astros. He played countless rounds of golf. Luke was a passionate, committed servant. He was a deacon at the First Baptist Church where he oversaw the Bus Ministry. 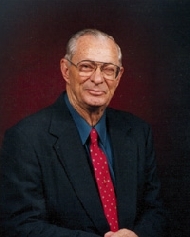 He served as a member of the Texas City Chapter of the Lion's Club for more than fifty years. He retired from Amoco Refinery after more than forty years of service. Luke Bucklew never once met a stranger. He had a beautiful soul that shed light on all who he encountered. He was preceded in death by his wife Dorothy Bucklew and his parents Willie C. and Maude Bucklew; his brother, Jim Bucklew and wife Lillie Bell Bucklew. Luke's legacy lives on in his daughter, Alice Sems of Pearland, Texas; son David Bucklew and wife Linda of Groves, Texas; brother Len and wife Doris of Albuquerque, New Mexico; brother in law Lester Piske and wife Rose of Kemah, Texas; grandchildren Joseph Bunton and wife Carol of The Woodlands, John Bunton and wife Amber of Tuscola, Texas, Josh Bucklew and wife Whitney of Beaumont, Texas, Max Sems and wife Stephanie of Rosharon, Texas; nine great-grandchildren, two great-great-grandchildren, and numerous nieces and nephews. The family extends heartfelt appreciation to Luke's caregiver, LaNecha Chatman. Visitation will be Monday, October 16 at Carnes Funeral Home, 3100 Gulf Freeway, Texas City, Texas at 1 pm. Funeral services will immediately follow at 2 pm conducted by Rev. C. Wayne Clement and Pastor Robert Miller. Burial will follow at Forrest Park East Cemetery in Webster, Texas. Pallbearers will be Joseph Bunton, John Bunton, Luke Bunton, Josh Bucklew, Max Sems, Jerry Cross, and Justin Cross. Friends are encouraged to make memorial gifts to the Lions Club International Foundation for the Blind at lcif.org.